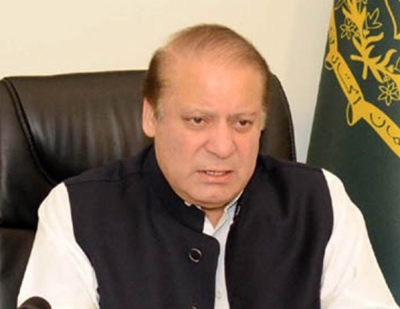 Islamabad, July 29 (IANS) A day after the Pakistan Supreme Court disqualified Nawaz Sharif for being “dishonest” in its decision on the Panamagate case, the global media on Saturday came out with mixed reactions about the political turmoil in the South Asian nation. Ever since the joint investigation team (JIT) submitted its report to the Supreme Court on July 10, both national and international media had speculated about the fate of Nawaz Sharif and his family. Following are a few reactions published in the media around the world. The Hindustan Times in an editorial titled “Nawaz Sharif’s conviction leaves a political vacuum in Pakistan. This is not good news for India”, said Sharif’s “departure from the political scene is almost certain to herald a period of volatility within Pakistan and, therefore, greater risk in relations between India and Pakistan”. The Times of India in an op-ed titled “India keeps close watch as verdict on Nawaz Sharif puts Pakistan in a flux”, said: “The (Indian) government has stayed silent, refraining from even categorising this as an “internal matter”, which is a stock response by the foreign ministry, but the unseating of the Pakistani leader is not a surprise to South Block.